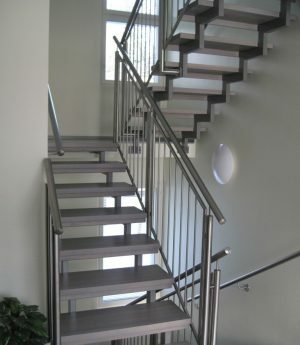 Stair steps are made of steel or wood. 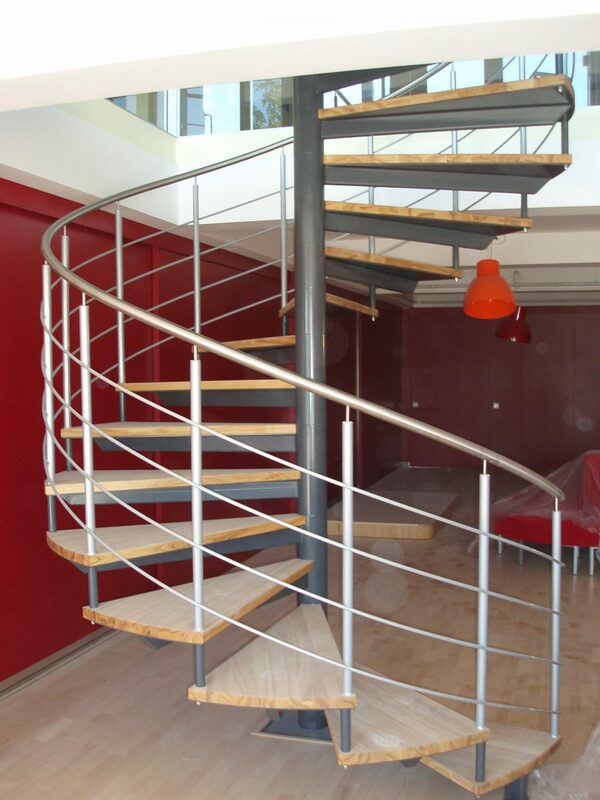 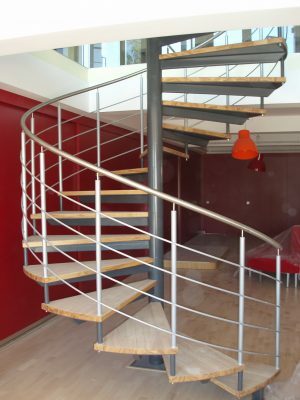 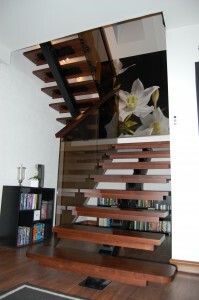 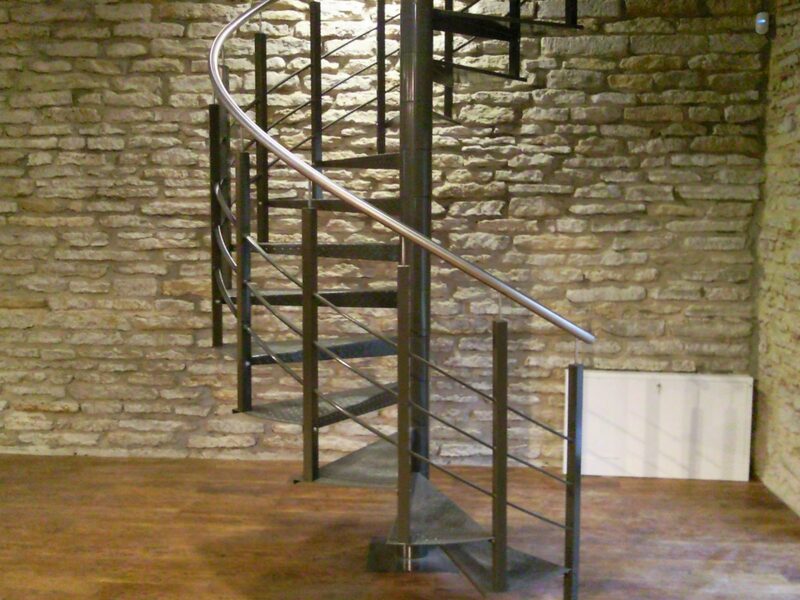 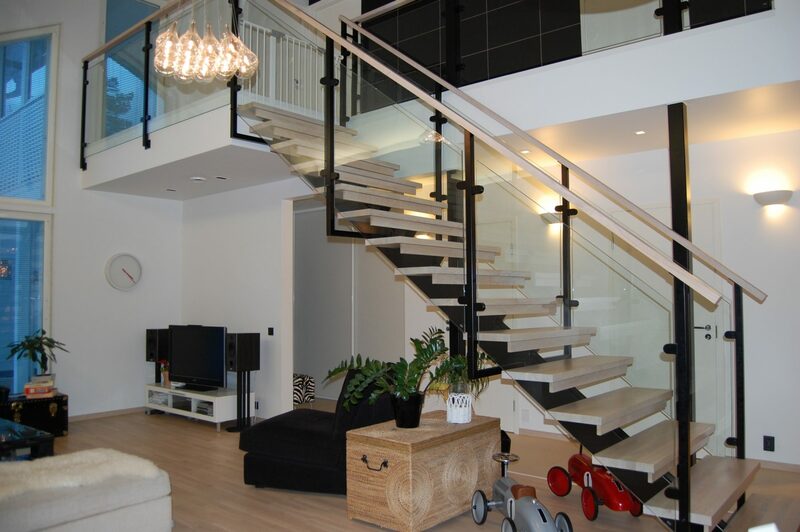 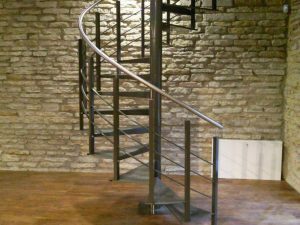 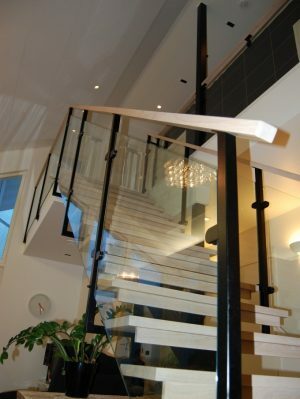 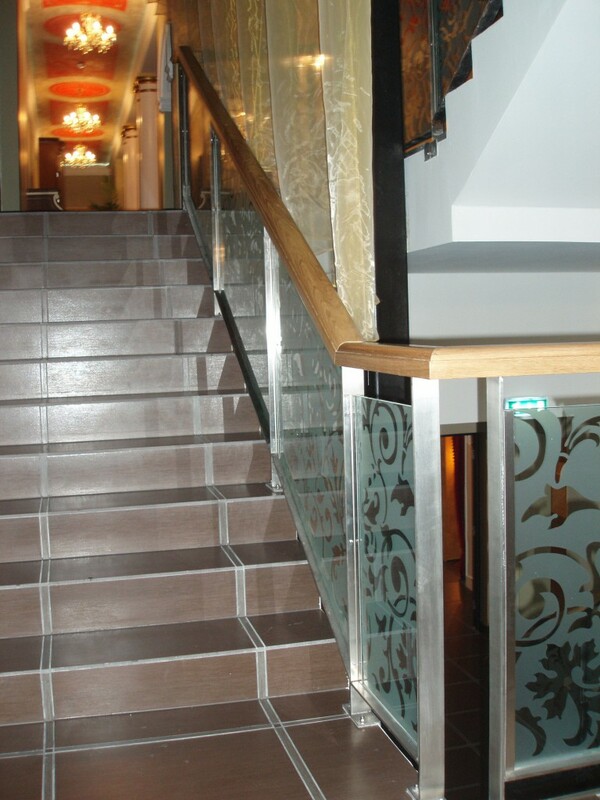 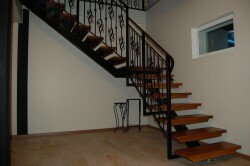 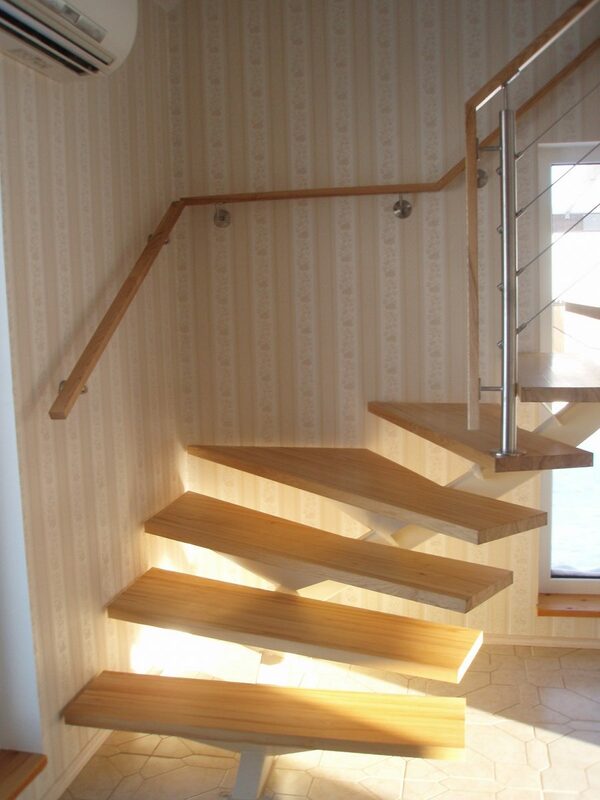 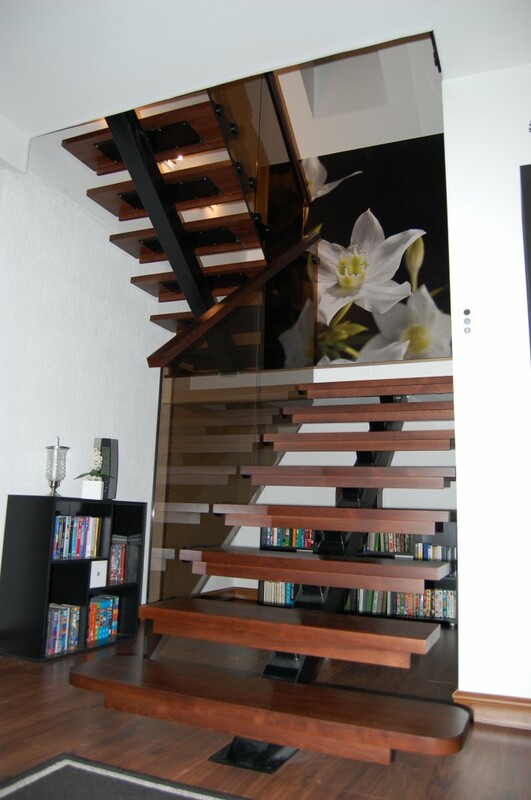 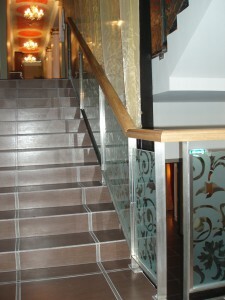 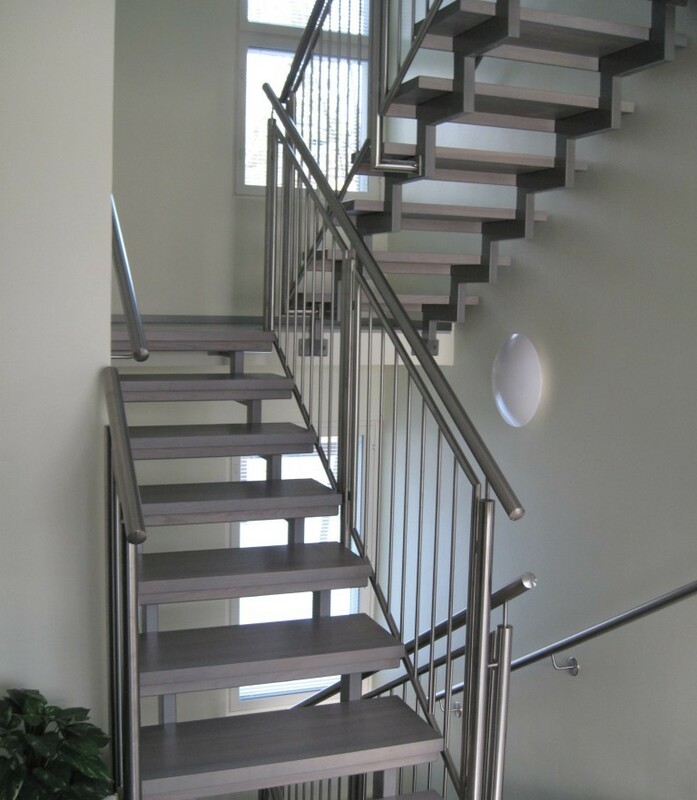 Stair railings can be ordered steel based and can be combined with glass. 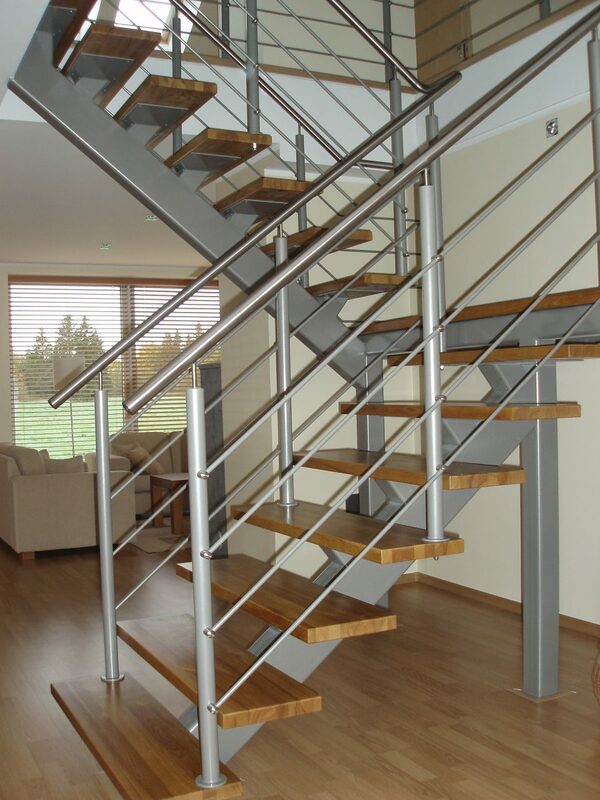 Stainless steel or combination of different steels available by order.